The Qikiqtani Inuit Association (QIA) is committed to eliminating tuberculosis (TB) in our homeland, and across Inuit Nunangat. TB is entirely preventable and curable. Yet, TB thrives on inequity. We know that eliminating TB in our communities requires a strong public commitment to equity in housing, food sovereignty, Inuit employment, and access to Inuit-centered and culturally safe TB care. 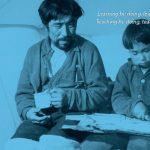 This month, Prime Minister Justin Trudeau offered a Statement of Apology on behalf of the Government of Canada to Inuit for the management of the tuberculosis epidemic from the 1940s-1960s. This historic apology was substantive, and included new federal funding to support the Nanilavut Initiative, an Inuit-led initiative supported by the Government of Canada. 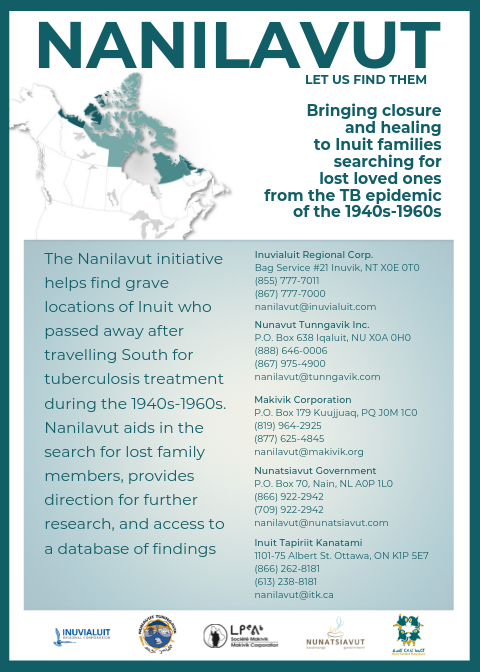 The Nanilavut Initiative helps bring closure and healing by supporting Inuit families in the search for loved ones lost during the TB epidemic of the 1940s-1960s. 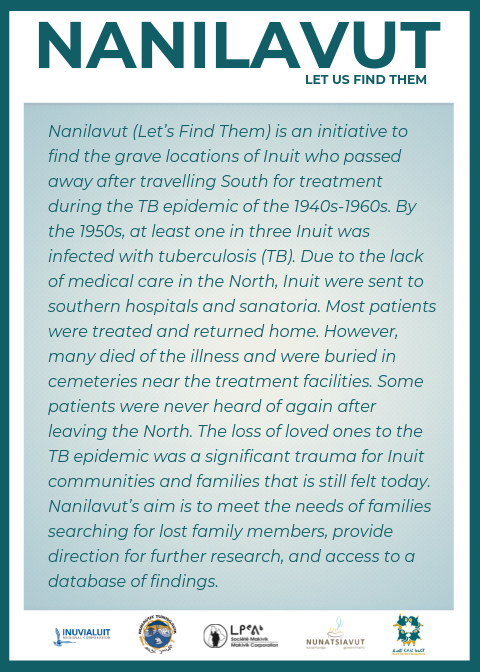 Nanilavut aids in the search for lost family members by providing personal guidance, database access, and financial support to help families travel South to visit the graves of lost loved ones. Today, Qikiqtani Inuit still face incidence rates of TB disease more than 300 times higher than those experienced by the Canadian-born non-Indigenous population. QIA continues to call for urgent investments in our region to improve Inuit lives and close the equity gap between Qikiqtanimiut and other Canadians. QIA is working closely with our communities, the Government of Nunavut, and Nunavut Tunngavik to create Nunavut’s Regional Tuberculosis Elimination Action Plan. 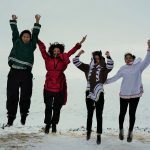 We share with Inuit Tapiriit Kanatami and the Government of Canada a common commitment: to reduce the rate of TB across Inuit Nunangat by 50 percent by 2025, and to eliminate TB in our homelands by 2030. We approach these ambitious and achievable goals with evidence-based optimism. Successfully eliminating TB in the Qikiqtani region requires urgent investments to close the equity gap. To date, public action has been encouraging, yet insufficient. Today is an important chance for the Governments of Canada and Nunavut to reaffirm their commitments to addressing the Inuit housing crisis, and strengthening support for Inuit food sovereignty and Inuit employment. With this commitment to action, QIA is optimistic that together we can eliminate TB in Inuit Nunangat. There is no time to lose. The tuberculosis rate for non-Indigenous people in Canada is 0.6/100,000. The tuberculosis rate among Inuit in Canada is 170/100,000. In Nunavut for the years 2006-2016 the average rate of TB was 181/100,000. Within Nunavut, tuberculosis activity is highest in the Qikiqtani Region, with an average crude rate of 305.1 cases of TB disease per 100,000 population from 2006-2016. 56% of Nunavut Inuit live in crowded homes. 32% of Nunavut Inuit have housed a couch surfer/temporary resident in the past year. Overcrowded housing increases TB risk. 70% of Nunavut Inuit are food insecure, compared to 8% of all Canadians. Poor nutrition increases TB risk. Median income for Inuit in Inuit Nunangat is $23,485. Median income for non-Inuit in Inuit Nunangat Is $92,011. TB is a problem of social equity.